8 to 10 feet tall. 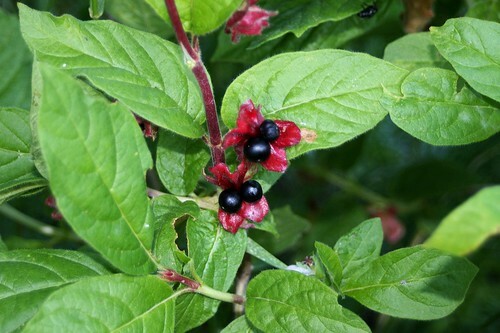 Small yellow flowers and purplish black fruit adorn this fast growing shrub that also provides excellent erosion control. 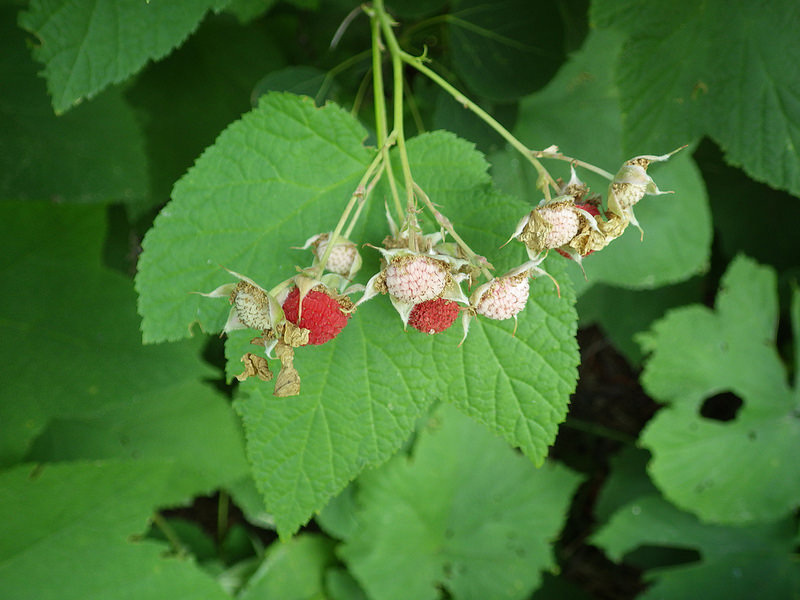 Grows well in streamside habitats providing food and cover for birds and other wildlife. 15 to 30 feet tall. 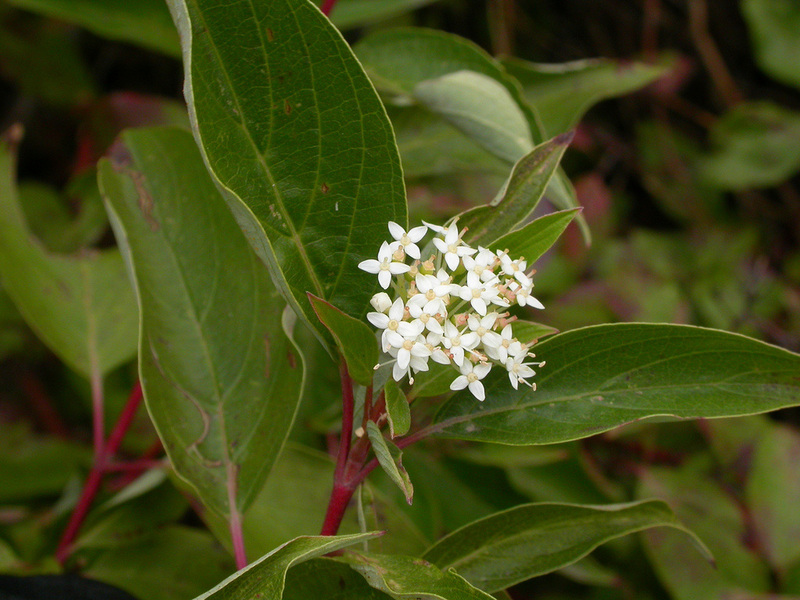 Flowers are small, creamy greenish-white small clusters. Attracts butterflies and many species of birds. 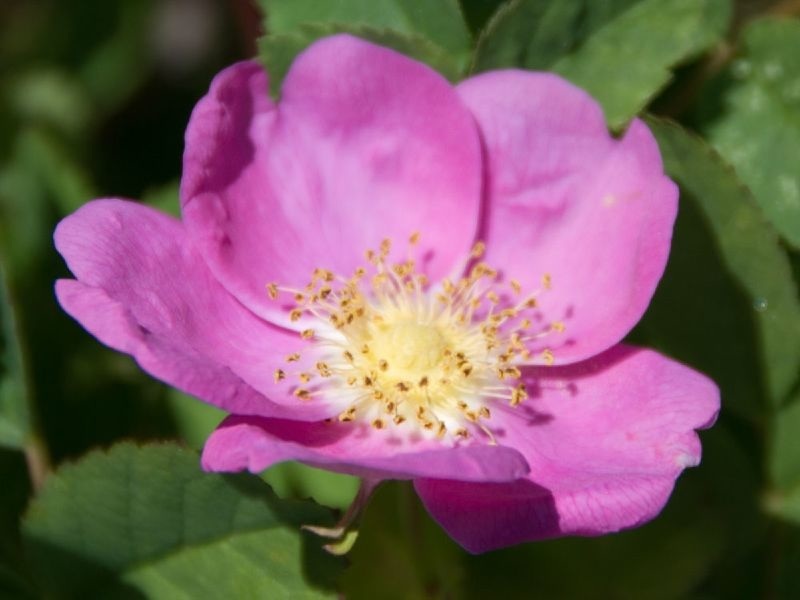 Performs best in a partly sunny, moist site with well-drained soil. 6 to 8 feet tall. 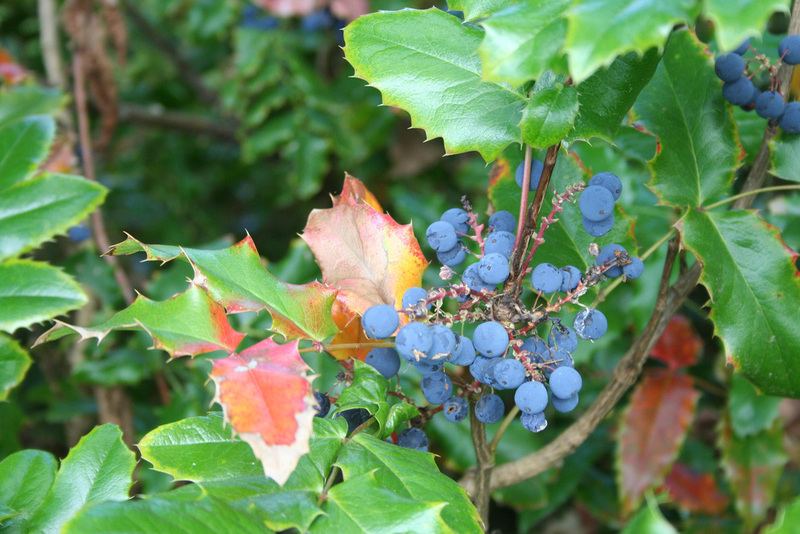 Ornamental shrub with pink, bell-shaped flowers and blue edible berries. Has excellent soil binding, erosion control capabilities. 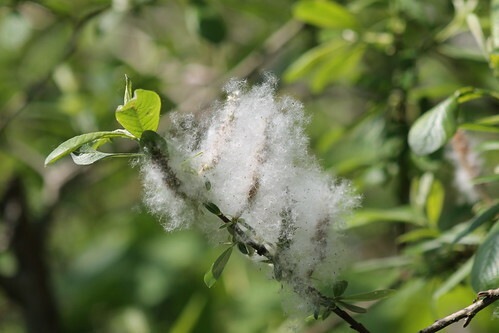 Most common in semi-open woods, in soils high in organic matter. 8 to 12 feet tall. Fragrant, white 2” flowers. Arching green branches, which retain foliage. Highly adaptable, grows in most locations. 12 feet tall. Large bell shaped flowers bloom on this evergreen native in late spring. 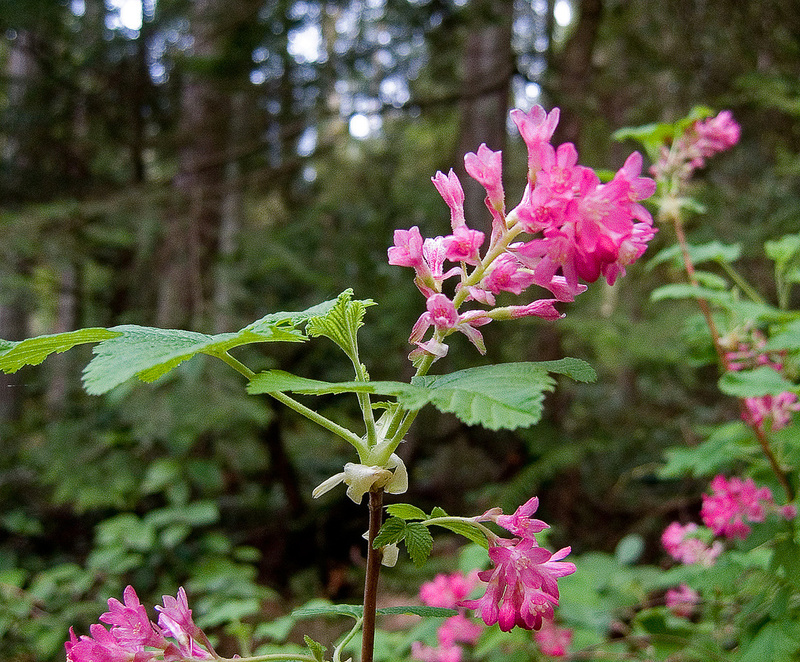 Grows in moist to dry openings or on forest margins. 15 to 30 feet tall. Deciduous shrub that is fast growing once established. Clusters of white flowers are followed by red inedible berries enjoyed by birds and other small mammals. Adaptable plant that grows in full sun to partial shade in moist soils. 6 inches to 3 feet tall. 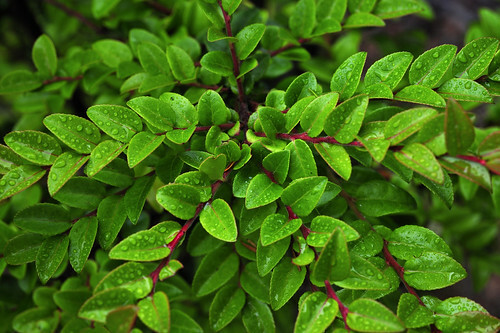 Evergreen shrub has shiny dark green leaves. Produces showy clusters of pink to white flowers followed by purplish edible fruit. 6 to 10 feet tall. 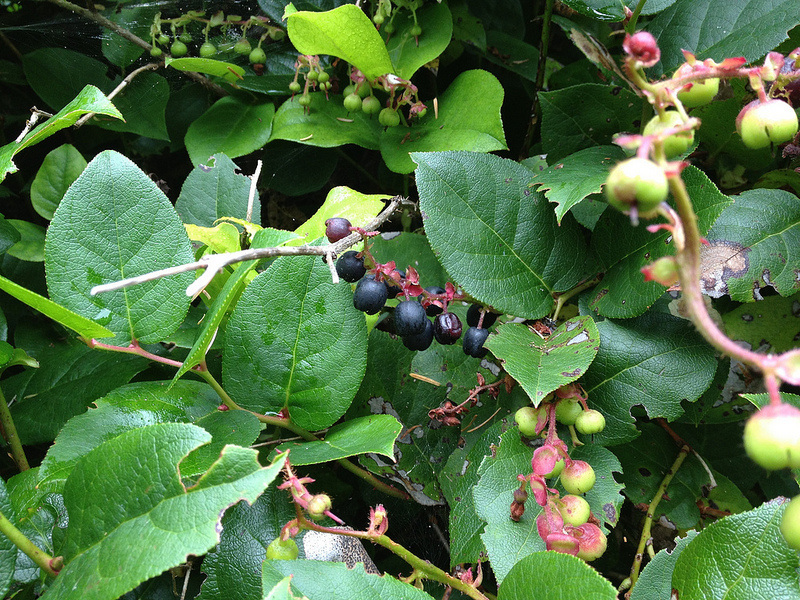 Reddish-purple flowers and yellow edible berries adorn this thicket-forming, sparsely thorned shrub. Prefers moist to wet places in partial shade. 5 to 10 feet tall. Outstanding shrub. 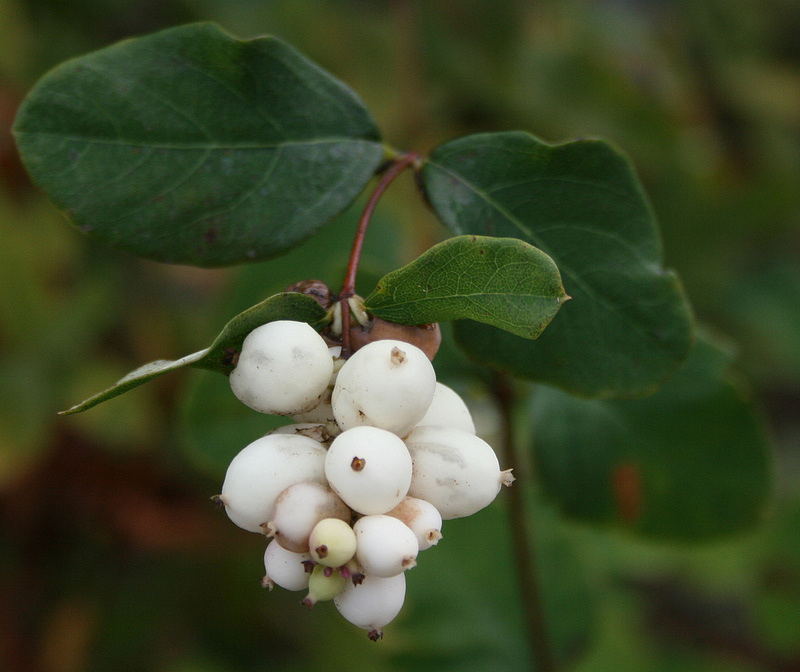 Bright white berries are especially ornamental after the leaves drop. 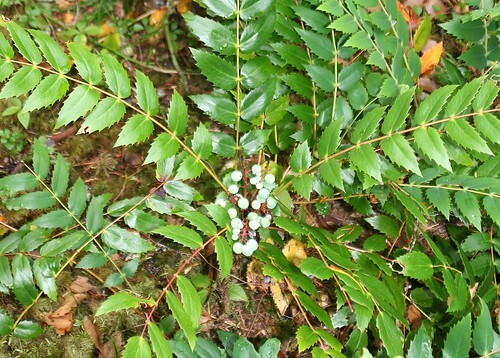 Attractive foliage. Good in partial shade & moist locations. Excellent for erosion control. Drought tolerant. 10 to 30 feet tall. 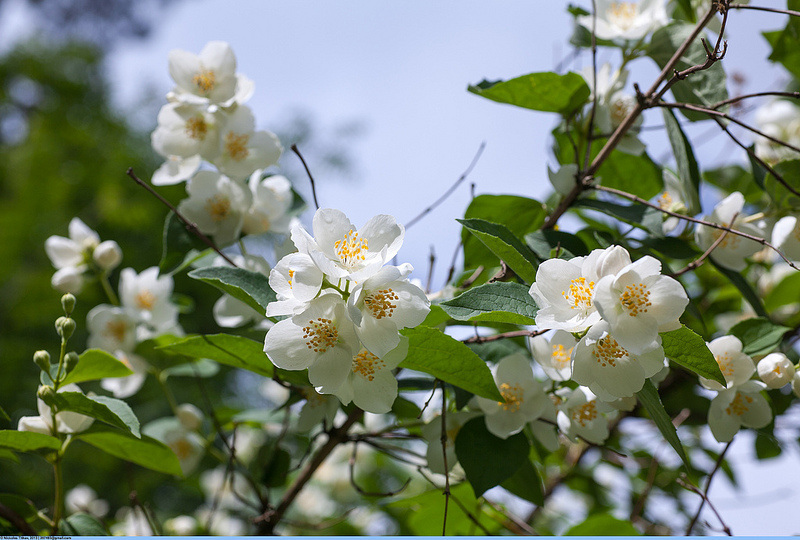 Vigorous-growing large shrub or small tree. It thrives in moist, well-drained areas. Good for erosion control along stream banks. 2 to 5 feet tall. 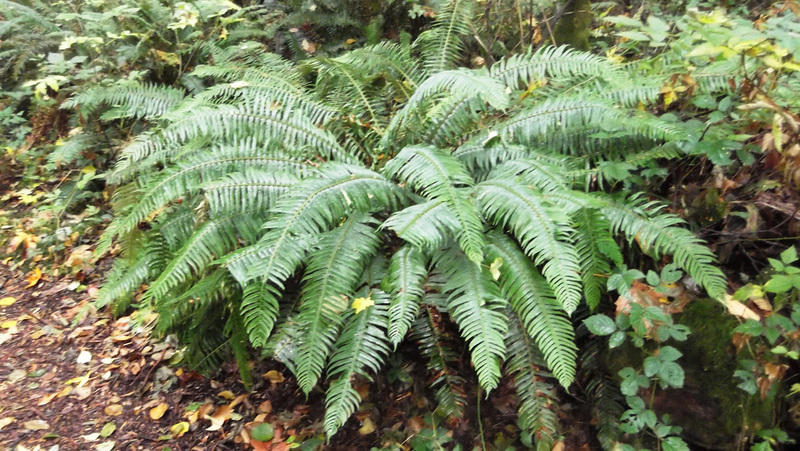 Evergreen fern with dark-green fronds arch from central clump. 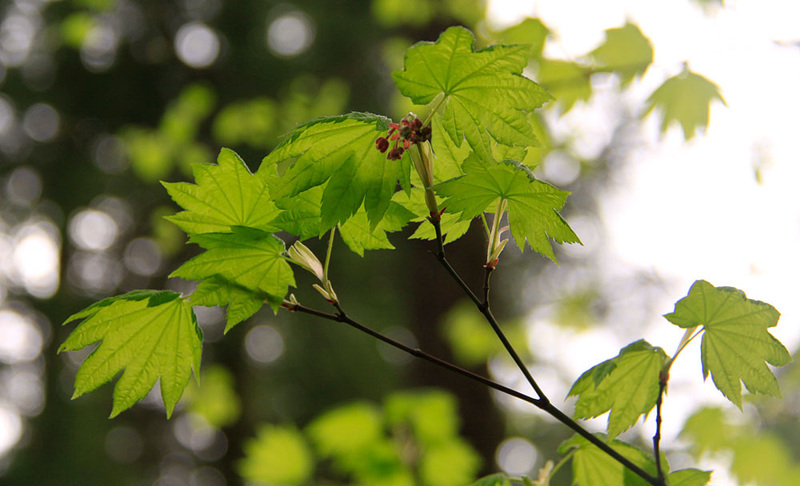 Grows well in lowland forests, full sun to full shade. 2 to 8 feet tall. 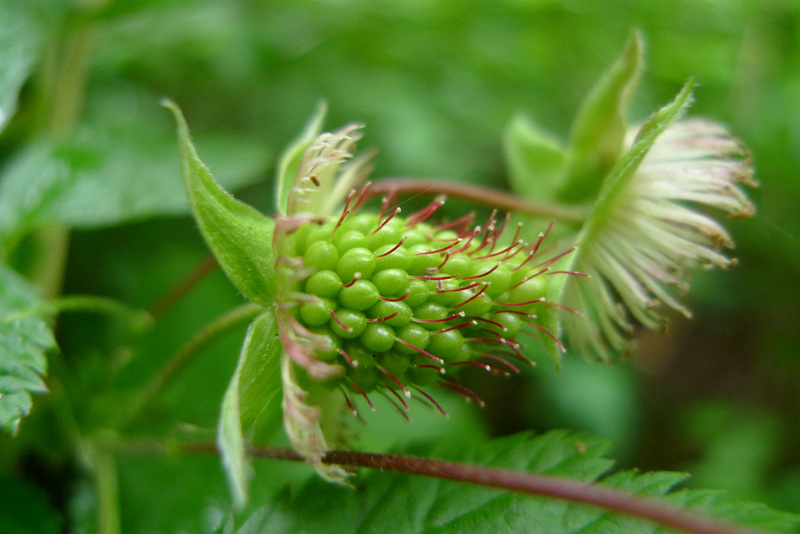 Adaptable plant that grows in moist to dry and wooded to open sites. White flowers followed by edible berries.